Promotion valid from April 18th to April 21st, 2019 only at Victoria’s Secret stores. Excludes Airport & Outlet stores. See associate for more details. 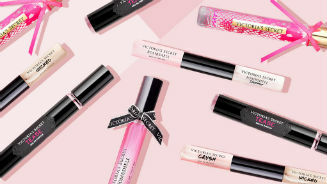 Promotion valid on April 18th to April 21st, 2019 at selected Victoria’s Secret stores. Lowest priced items is free. Valid on full price items. Excludes Grand Indonesia, Beachwalk Bali, airport and outlet stores. Promotion valid on April 2nd to April 21st, 2019 only at Victoria’s Secret Grand Indonesia & Beachwalk Shopping Center. Only valid on full-priced bras. Promotion valid on March 25th to April 30th, 2019 only at Victoria’s Secret Grand Indonesia & Beachwalk Shopping Center.